Autumn Green at Midway Village offers the ideal lifestyle for seniors 55 or better who are looking for premium care with flexible pricing in Chicago. Residents live with the joy of independence and the comforts of the Senior Living service culture—all within a short drive of the sites and attractions of the big city. At Autumn Green at Midway Village, we provide both Chicago Independent Living and Assisted Living options to seniors 55 or better. We offer buddy suites, one-bedroom, and two-bedroom suites for both Independent Living and Assisted Living lifestyles in Chicago. Our goal is to always honor our residents’ independence while providing them the services and detailed attention they need to get the most out of life. Life at Autumn Green at Midway includes our Fresh for You dining program, housekeeping service, award-winning programs, daily wellness checks, and more. Caregiver services are also available 24 hours a day. We drive groups to local markets, restaurants, and attractions, too. Have a request? We are more than happy to take you wherever you need or want to go—just ask! We offer our residents all the perks of country club living without the expensive buy-in—just a simple lease. Our flexible pricing options are designed to accommodate any income, and we are always available to help you decide what works best for your needs and your budget. Autumn Green at Midway also has an Income Qualified Program for qualifying residents looking for their own one-bedroom apartment, and assistance will be provided to obtain the Veterans Aid and Attendance Benefit. Free caregiver services provided by the Department of Aging are available for qualifying residents of Chicago independent living. Explore nearby cities like Chatham. 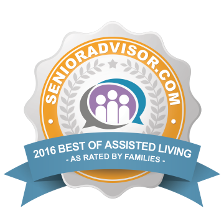 Tayetta has over 15 years of experience in the senior housing arena from Independent Living, Assistant Living and Skilled nursing. Tayetta arrived in the senior housing field through the hospitality industry where, she has over 25 years of experience in service & management. 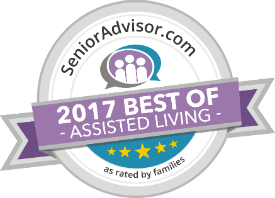 Her recent activity as a Senior Property Manager with Senior Lifestyle (SLC) is where she managed two of the latest new additions to the affordable portfolio; Senior Suites of Norwood Park and Senior Suites of Bellwood. Tayetta has been with Senior Lifestyle for over 8 years. Tayetta Attended Johnson & Wales University where she graduated with a B.S. degree. Tayetta is very activity in her community providing help and service. She remains committed to service through Programming senior initiatives, breast cancer awareness and more. Outside of work Tayetta enjoys music, traveling, baking and spending time with family & friends. She is also a caring and devoted mother. This is a lovely community, I’am pleased with everything they have done for us. My mother is doing very well here, she loves it ! It is a great place, the community is nice and well-kept. They have an excellent staff here. They are very helpful and caring. There are many activities offered for the residents. I’ve tired the meals and the food is good. I know she is being cared for well. She is in good hands and I would recommend this community. “I’m not a professional by any means when it comes to judging assisted living facilities. To be honest, sometimes they can creep me out. I have always been leary of them as well, as far as the treatment of the admitted tenants. But truthfully, when I did visit this facility, I was surprised to see such a nice, clean facility which fully provided the needs of the tenants. There was a dedicated staff, plenty of activities, and the decor was upbeat and bright. As far as security and access to the building, there was a controlled entry and all guest were monitored via camera upon entry. This gave me a large sense of security while visiting, and I would imagine the security aspect is a major part of why they chose this facility.” – John B. “I’m not a professional so it would be difficult to rate this facility. I understand that most assisted living or nursing homes get a bad rap. However, when I went to visit this facility I was very surprised. It wasn’t gloomy or dreary by any means. The tenants were treated very well. The staff was attentive to the needs of the tenants and the facility seemed well cleaned. The tenants had a variety of activities to keep them busy and there was plenty of security to ensure the safety of the people living there. There was controlled entry and plenty if security cameras. There was also on sight medical personnel and equipment in addition it helps that there is a relative closeness to nearby hospitals so that it provides safety and security of mind for both the residents and their families.” – John C.
“When I did visit this facility, I was surprised to see such a nice, clean facility which fully provided the needs of the tenants. There was a dedicated staff, plenty of activities, and the decor was upbeat and bright. As far as security and access to the building, there was a controlled entry and all guest were monitored via camera upon entry. This gave me a large sense of security while visiting, and I would imagine the security aspect is a major part of why they chose this facility.” – Damon E.